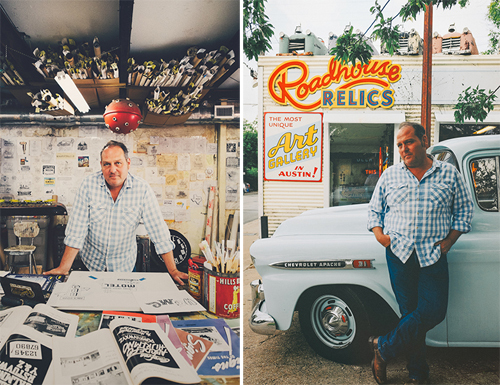 A neon sign is inherently a pretty cool thing- but when you have master craftsman Todd Sanders at the helm, it becomes a valuable work of art. 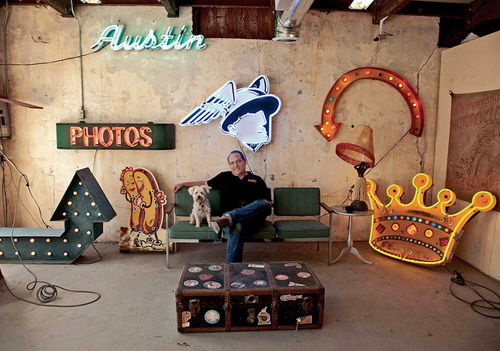 At his Austin, Texas workshop Todd Sanders creates custom neon art pieces, many with a retro feel. 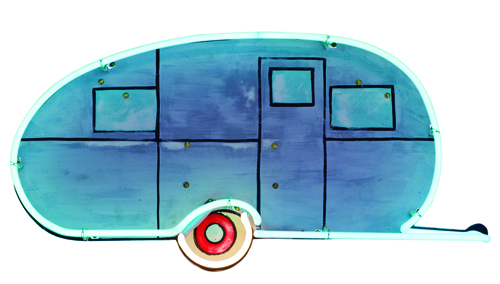 He began this artform back in 1997 and has been at it ever since, continually inspired by old books, magazines, antique road signs and oddities. Todd begins each piece with a sketch, then using tried and true sign making techniques, (which means no computer), he handcrafts the metal into shape then adds paint. 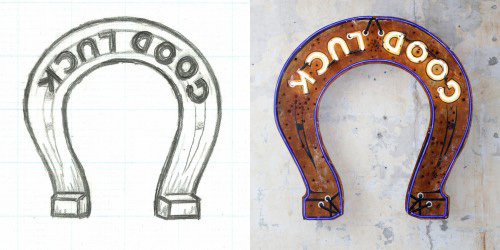 He finishes by incorporating weathering techniques to give many of his signs that worn, vintage feel.